Millbrook Press (Tm), 9781575054025, 32pp. What is a noun? It's easier to show than explain--and this book is brimming with examples. 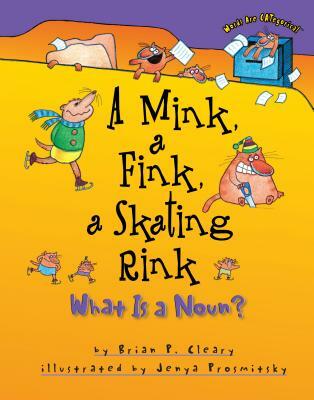 Author Brian Cleary and illustrator Jenya Prosmitsky creatively clarify the concept of nouns for young readers. Nouns are printed in color for easy identification, and the playful rhymes and illustrations combine to highlight key words.